The In Flanders Fields Museum, Ghent University and the Province of West-Flanders have launched the "Centre of Historical & Archaeological Aerial Photography (CHAL)" in January 2014. 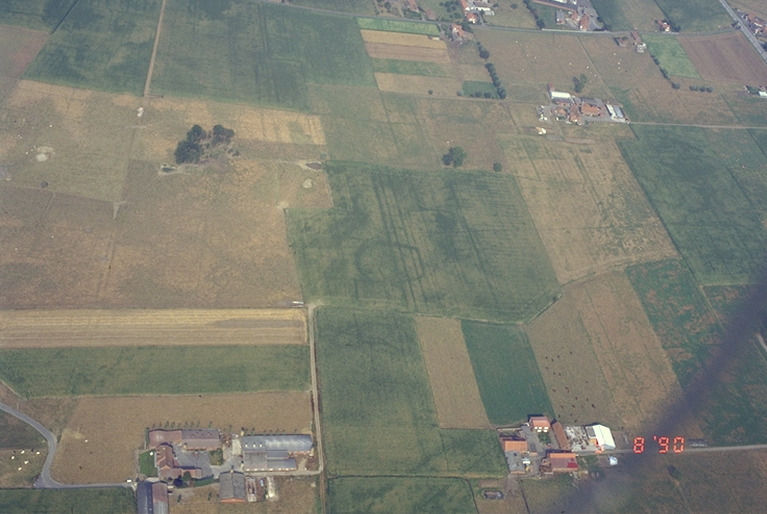 The three partners collaborate on the study and use of historical and present-day aerial photographs in archaeology. The historical aerial photography from the First World War is a unique source of information. A massive amount of reconnaissance images was made by the different fighting parties, of which a considerable amount survives today in the archives.The photographs offer unique opportunities for scientific research, for museal applications and for touristic developments of historical sites on the former battlefields of WWI in Flanders. Because they show us the landscape of 100 years ago, they are also indispensable sources of information in heritage management and spatial development of the area. CHAL also studies and manages the elaborate collection of oblique aerial photographs that were made for archaeological purposes by pilot Jacques Semey. About 72.000 images were made above mainly East- and West-Flanders, a unique source of information. CHAL is active in scientific research and carries out orders by different partners (government, private companies, etc. ), such as historical-archaeological desk top studies of archaeological sites under development, the study of specific aerial photographic collections, the use of aerial photographs in museological collections, etc. The ellaborate collection of WWI aerial photographs can be consulted in the In Flanders Fields Museum, both in the museological collection and in the research centre (Kenniscentrum) as a GIS-application. The 20.000 available images cover the entire front zone in Belgium, and large parts of the hinterland.